Officers are issuing CCTV images of suspects following two purse thefts in Dorchester town centre. Some time between 1.30pm and 2pm on Thursday 18 October 2018 a woman aged in her 80s had her purse stolen from her bag while she was shopping in South Street. Her bank card was subsequently used to withdraw £500 from Lloyds bank and to carry out three further transactions in the town centre totalling more than £200. 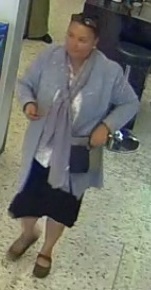 Following enquiries, officers have obtained CCTV images of two women believed to have been using the stolen card. Between 12.45pm and 1.30pm on the same day another woman aged in her 80s had her purse stolen while shopping in the town centre and her bank card was subsequently used for a transaction at the Co-Op store in Trinity Street for £21.78. 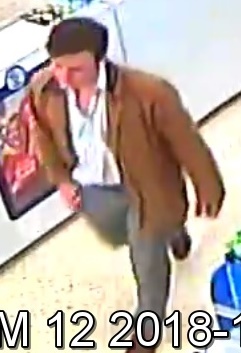 Officers have also obtained CCTV footage of a man who is believed to have used the card at the Co-Op store. Police Community Support Investigator Lauren Gibbins, of Dorset Police, said: “At this stage we have no evidence to suggest these two incidents are related but we are continuing to make enquiries and I am issuing the CCTV images of all three suspects in the hope that someone might recognise them. For more crime prevention advice visit www.dorset.police.uk/help-advice-crime-prevention. « Dorset County Hospital rated Good!